Bill passed away peacefully on Monday, April 23, 2018. Bill is survived by his wife of 65 years, Norma (Worley); sons Paul and Wayne (Ginnie) Johnson; grandchildren Elizabeth (Parker) Melvin, Sarah, and Caroline Johnson; great-granddaughter Rosie Melvin; many nieces and nephews. Born the third son to Harry and Mable Johnson on March 8, 1920 in Sheridan, IN. Bill graduated from University City High School in 1938 and went on to attend Washington University for one year before joining the army. He served as a Sergeant in WWII stationed in the South Pacific. He then returned and graduated from UCLA with an aeronautical engineering degree. Bill began his career as an entrepreneur by co-founding Johnson Industrial Supply Company in 1952. Combining his passion for inventing and gardening, Bill later created the Jisco Earth Auger that is still being distributed throughout the US. Bill was an active leader in the Boy Scouts of America, Sea Scouts and the Eagle Scout Association. Through his hard work and dedication, he became the President of the Eagle Scout Association and was bestowed with the Silver Beaver Award in 2001. Bill was instrumental in many ESA projects and activities, as well as being a great mentor to younger ESA members. Bill was an active member of Ladue Chapel for over 55 years, serving as an elder and deacon. In his spare time Bill also found joy in coaching baseball, golfing and woodworking. Bill put others first. He will be remembered for his optimistic, giving and caring nature and will be missed by his family and his many friends. Services: Memorial service Sat., Apr. 28, 2018, 12:30 p.m. at Ladue Chapel, 9450 Clayton Rd. Private inurnment, St. Andrew's Memorial Garden at Ladue Chapel. In lieu of flowers, please consider a memorial gift to the Eagle Scout Association of St. Louis, PO Box 410436, Creve Coeur, MO 63141. Arrangements by Bopp Chapel. Friedman, MD Robert H. September 4, 2015 Beloved husband of Lois Heifetz Friedman; dear father of Andrew H. Friedman, Tom (Mary Ryan) Friedman and Emily (Dan Protess) Friedman; loving grandfather of Marc Friedman, Ella Friedman Protess, Sophie Thorup and Emma Thorup. Doctor Bob as he was affectionately known by his patients, was a pediatrician, allergist, amateur photographer and golfer. He also served as a medical consultant for the primates at the St. Louis Zoo. He served stateside in the U.S. Army during both World War II and the Korean War. He died after a protracted battle with Alzheimer's. Schiffman, John A. Jr. John A. Schiffman, Jr. Philanthropist, 99, of Crestwood, MO on, August 5, 2015. Beloved husband of 44 years of the late Althea Whitcraft Schiffman, father, grandfather, great-grandfather, brother, and uncle. 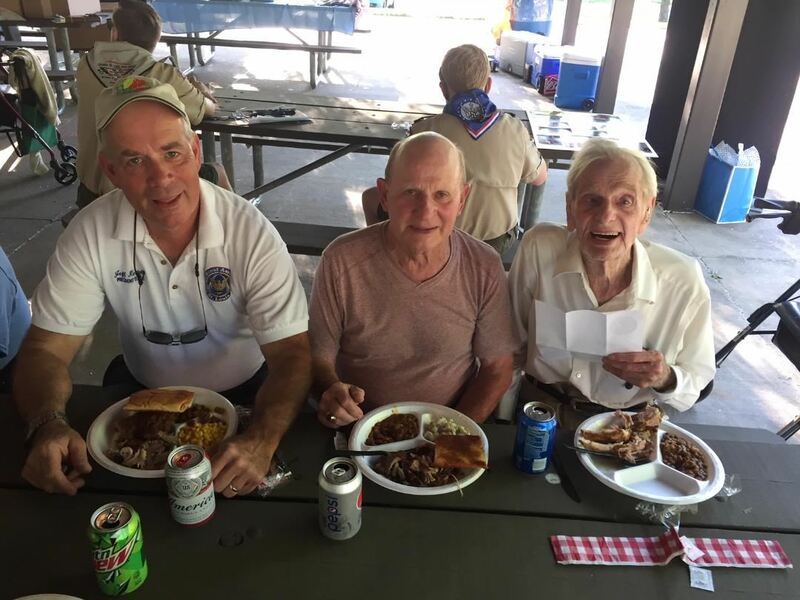 Formerly employed by the PepsiCola Bottling Company of St. Louis, Mr. Schiffman devoted his life to helping others by his involvement in the Disciples of Christ Christian Church, Optimist Clubs International, Red Cross, the US Armed Forces in WWII and the Boy Scouts of America. Mr. Schiffman was a philanthropist, who made contributions to various medical and educational institutions, including the establishment of an endowed Chair in Ethics, Religious Studies and Philosophy at Columbia College in Columbia, MO, where he also served on the board for many years. Significant donations to the National Benevolent Association, Webster Groves Christian Church, William Woods College, Culver-Stockton College and various local charities were also made. He was a volunteer participant for many years until his death in the Washington University Memory and Aging Project. Mr. Schiffman was a member of Webster Groves Christian Church for over 75 years, where he was an elder and served on various committees. He was known by all to be a pillar of selflessness, always the first at the bedside of the infirm and the house of the grieving. A gentleman and attentive listener to people of all ages, he made others feel important and valued. He chose optimism and hope, even in the face of adversity, and inspired others to do the same. Surviving are his two sons, John Schiffman III and wife, Marilyn, of Dallas, TX; and Donald Schiffman and wife, Martha, of Saint Peters, MO; four daughters, Joy Masterson of Indianapolis, IN, Dr. Nancy Longo and husband, Dr. Dan Longo, of Kensington, MD; Marilee Gaar and husband, Harold, of Richfield, OH; and Bonnie Pearson and husband, Evan, of Dallas, TX; a sister, Marjean Davis of Webster Groves, MO; 11 grandchildren, nine great-grandchildren, three expectant great-grandchildren, other relatives and many friends. He was preceded in death by his wife, two brothers, and a grandson. Services: Memorial service Sunday, August 9 at 2:30 p.m. at Webster Groves Christian Church, 1320 W. Lockwood Ave., Glendale, MO, 63122. John's children, grandchildren, and great-grandchildren will hold a private service at a future date, with entombment at Oak Grove Mausoleum. In lieu of flowers, donations may be made to Webster Groves Christian Church or the Boy Scouts of America. The 24th Annual Eagle Scout Association Golf Tournament will be held on Monday, April 20th, 2015 at the Old Hickory Golf Club in St. Peters, MO. Proceeds will be used to fund the Association's improvement projects at the Greater St. Louis Area Council's camps. A successful tournament is critical in our efforts to fulfill our mission to "Give back to Scouting" and "Support the Greater St. Louis Area Council, BSA". We need a real team effort to make this year's tournament a success. Our goal is to generate at least $10,000. If each of us contribute to this team effort, I am confident that we can make $12,000 or more. Your are invited to part of the team. We need your help in recruiting golfers, hole sponsors, corporate sponsors, raffle items, and beverage donations. Please encourage friends, family members, Scouting buddies, and business associates to help support this worthwhile cause. If you can't help in the recruitment, I encourage you to make a personal contribution. Donations of any size are greatly appreciated. Information about the tournament, player fees and sponsor donations is detailed in our brochure. To access the Golf Tourney brochure click here. Annual Golf Tournament. Feel free to download additional brochures for recruitment purposes. If your would like to discuss your role on the team, please contact Jeff Kendall at Golf@STLESA.org. New for this year's tournament is the ability to register and pay for player fees and sponsorship on-line. Event Registration If you would rather pay by check, please make check payable to The Eagle Scout Association, and mail to: the Eagle Scout Association, 16001 Lugger Wood Court, Ellisville, MO 63021. The Golf committee and I thank you in advance for your support of the great cause and for being part of the Team! Take Care & Hit 'Em Straight! Irving L. Rader, A long time Scout supporter and ESA Life Member died 8 December, 2014. Beloved husband of Lena Rader for 59 years; father of Janet (Charles Markman) Rader and Norman Paul (Karen) Rader (Past President 1988-89). Loving grandfather of Nathaniel, Eliot, and Gregory Markman, Sarah and Courtney Rader. Dear brother of the late Miriam Rader (Maynard) Greenberg. Our dear uncle, cousin and friend. Mr. Rader was retired from and the founder of Metal Masters, a family business currently headed by ESA Past President Paul Rader. Services: Graveside service Wednesday, December 10, 2:30PM at Beth Hamedrosh Hagodol Cemetery, 9125 Ladue Road. Contributions in his memory may be made to the Jewish Federation of St. Louis or to the Eagle Scout Association of Greater St. Louis. Irv, we thank you for your service to the Eagle Scout Association, as well as the BSA. Jack Grossman, A long time Scouter and ESA Past President (1954-55) died 8 February, 2014. Beloved husband of 71 years of Betty Joseph Grossman; father and father-in-law of Jim (Jane) Grossman (Past President 1978-79) and John Grossman; dear grandfather of Dan (Eagle Scout 1985) (Caryl Feldacker) Grossman and Leslie (Brian) Moynihan; dear great-grandfather of Carter and Amelia Moynihan, Matai Feldacker-Grossman. Mr. Grossman was retired from Emerson Electric and McDonnell-Douglas Corporation. Mr. Grossman donated his body to the Washington University School of Medicine. Jack, we thank you for your service to the Eagle Scout Association, as well as the BSA. The 24th Annual Eagle Scout Association Golf Tournament will be held on Monday, April 29th, 2015 at the Old Hickory Golf Club in St. Peters, Missouri. Proceeds will be used to fund the Association's improvement projects at the Greater St. Louis Area Council's Camps. A successful tournament is critical in our efforts to fulfill our mission to "Give back to Scouting" and "Support the Greater St. Louis Area Council BSA". With heavy hearts we report the passing of one of our members. A long time Scouter and contributor to the Scouts of the Greater St. Louis Area Council. Edward, we thank you for your service and hope that your family finds peace in the coming days. In November Edward Bradley (Eagle Scout Class of 1975 and ESA Life Member) was one of 11 individual recipients of the 2012 Ameren President’s Performance Leadership Award. This award recognizes individuals and teams who have demonstrated performance leadership in their work. Individuals who have made significant contributions to advance the Ameren culture in the areas of safety, volunteerism and diversity are also recognized. Ed was recognized for his extensive work with Boy Scouts and Venturing and as an Engineer Ambassador for Ameren in education and recruitment of future engineers for the company. Ed has been employed by Ameren for over 28 years. More young men earned the Eagle Scout Award in 2012 than in any year in the award's 100-year history. How many 2012 Eagles do you know?